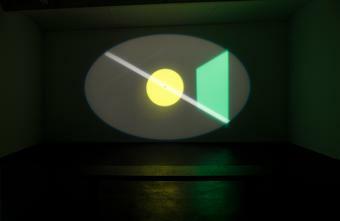 Comprising 24 source-four spotlights and 24 control dimmers, the work expands Olafur Eliasson's previous experiments with light and colour as it explores the co-production of colour and its spatial consequences. 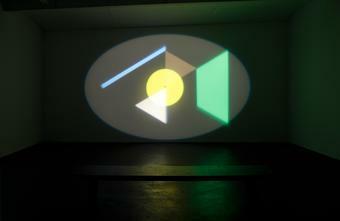 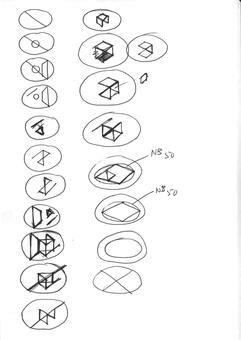 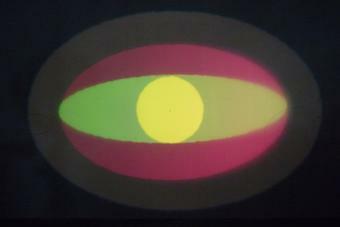 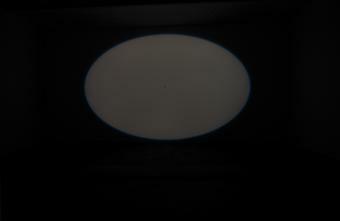 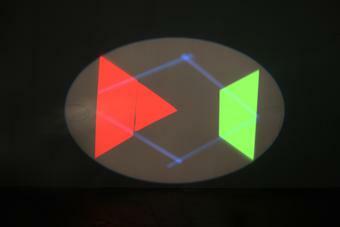 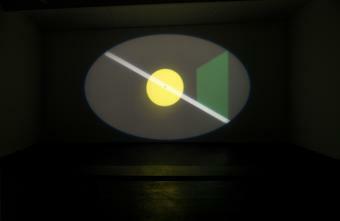 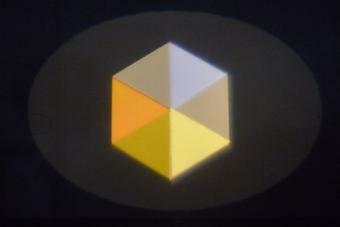 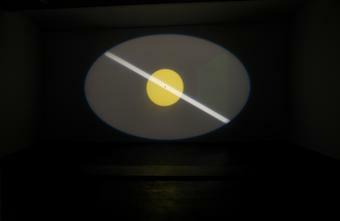 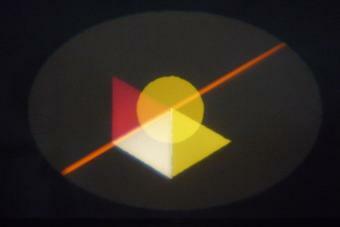 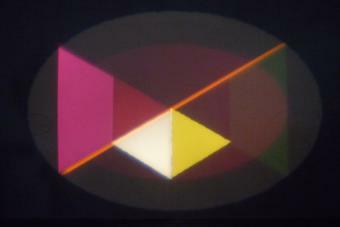 The projections, arranged in a three-minute looped sequence of changing trapezoids, vary in colour. 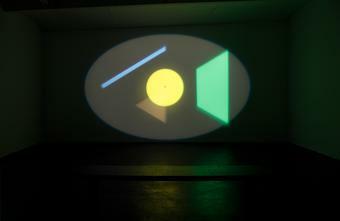 In response the visitors see afterimages overlapping with the colours projected onto the walls. 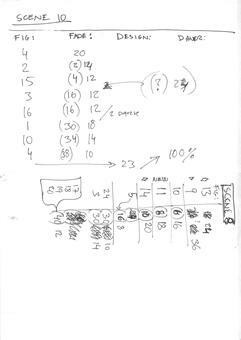 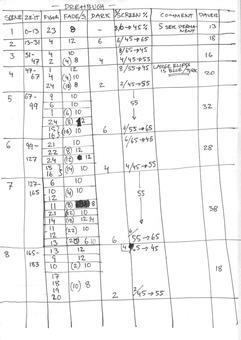 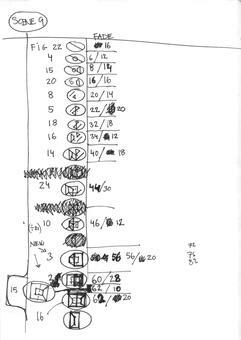 Colour generally being conceived as a product of the brain, rather than existing independently in the world, the sequence is thus co-produced by the gallery visitors.